Ergon boasts a wide range of new products for just about every riding style, all of them designed to keep you comfortable on the bike. 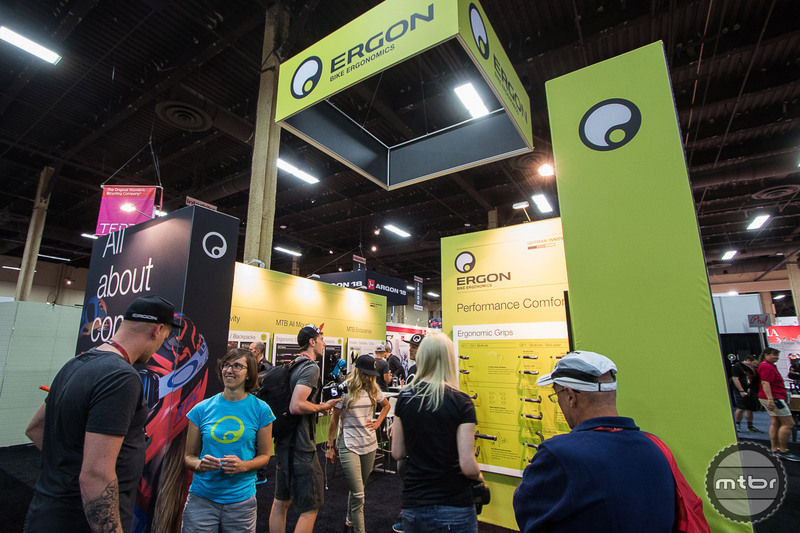 Ergon product manager Frank Dorr and a team of the company’s athletes and engineers introduce a range of new products from the innovative German accessories brand. With the overarching goal of keeping you comfortable and efficient on the bike, the German ergonomics specialists have launched a host of new products for 2017. The GE1 Factory Grip provides ergonomic bliss and comfort for even the most delicate hands. It’s available in two sizes, is left/right specific, and locks on your bars, offering secure grip. 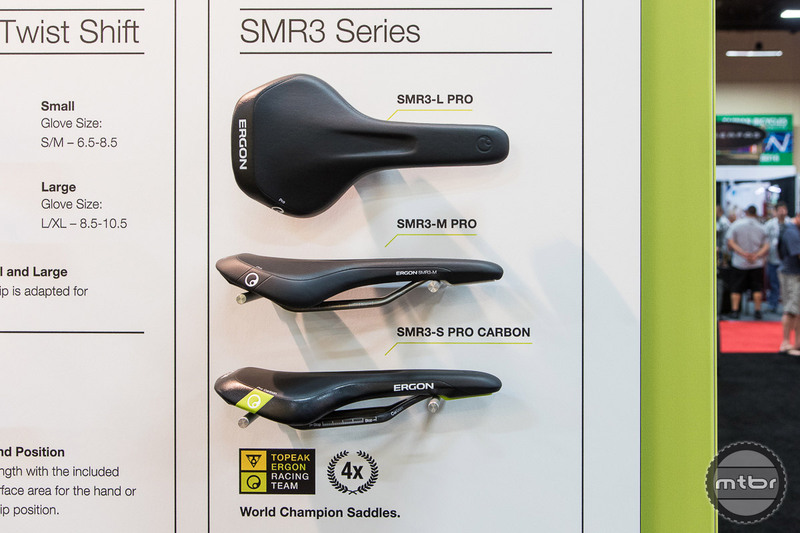 Meanwhile, the SM3 saddle range includes four options with various materials targeted at lowering weight and increasing durability. The SM3 is available in a range of sizes, allowing the rider to choose an option that best fits their anatomy. These critical measures can be determined using Ergon’s new electronic sit bone measurement system. For gear carrying, the BE Enduro Series Backpack offers a range of features and comfort. The pack’s flexible design conforms to your body, and it positions the bladder at the bottom of the pack, relieving pressure off the upper back and providing better weight distribution. 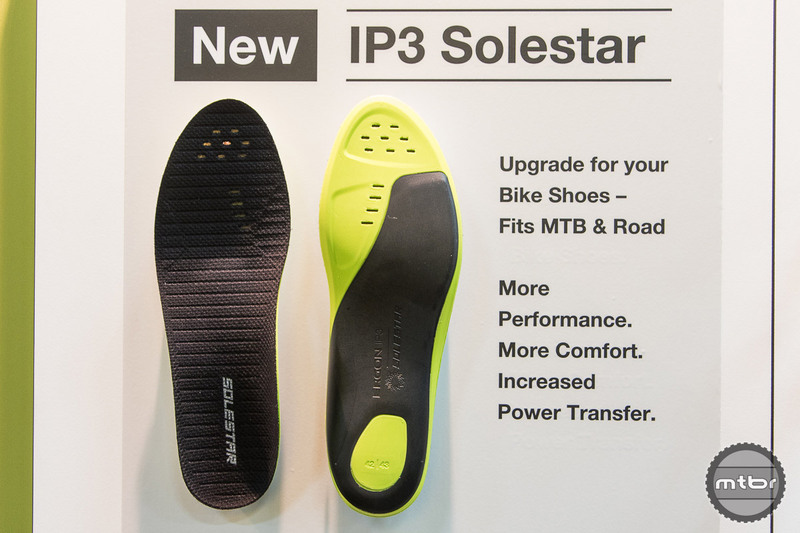 Finally, Ergon has launched its new IP3 Insole. The idea is that even with top-shelf riding shoes, the foot can collapse under pedaling pressure, bringing the knee out of alignment. This can result in a loss of power, discomfort, and even injury. The IP3 Insole focuses on the “Stabilization Delta” between the ankle joint, the little toe, and the big toe, providing rigid support where it’s needed. During an intensive development period the requirements of the SMD2 were framed with the help of downhill professionals. Because this saddle is barely used for sitting, and instead to steer the bike, the entire surface design follows a tilted orientation and offers freedom of movement. The guidance of the bike with the inner leg is improved by circumferential padding of the edges. Other important features include shock-resistant rails and more tire clearance. 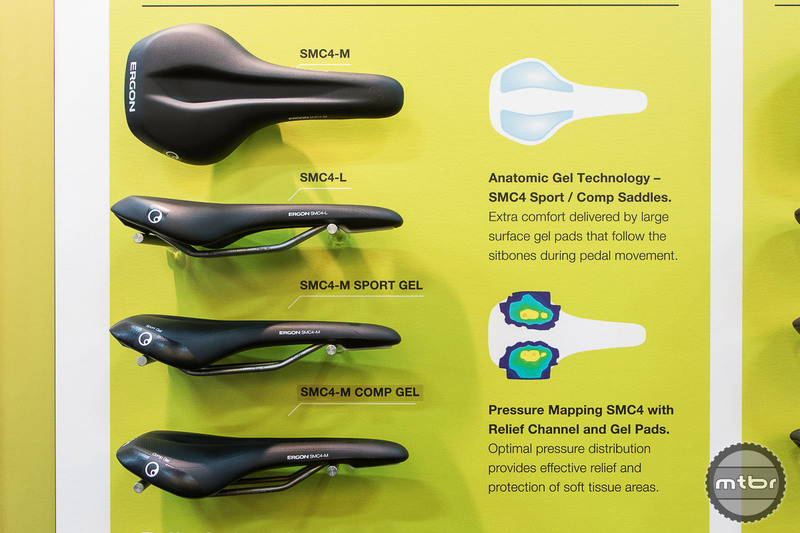 Using anatomic gel technology, the SMC4 Sport/Comp saddles deliver extra comfort with pads that follow the sit bones during pedal movement. Additionally optimal pressure distribution provides effective relief and protection of soft tissue areas. The most successful endurance mountain bike saddle in the Ergon line, this saddle is the choice of countless Topeak-Ergon Racing Team riders. Indeed it was developed in close collaboration with World Champion Alban Lakata, and features a next gen shell with increased flex to provide greater stability and more freedom in the thigh-area. It also has optimized seating geometry, and the latest AirCell technology padding with micro-air pockets for increased rebound, support and damping. 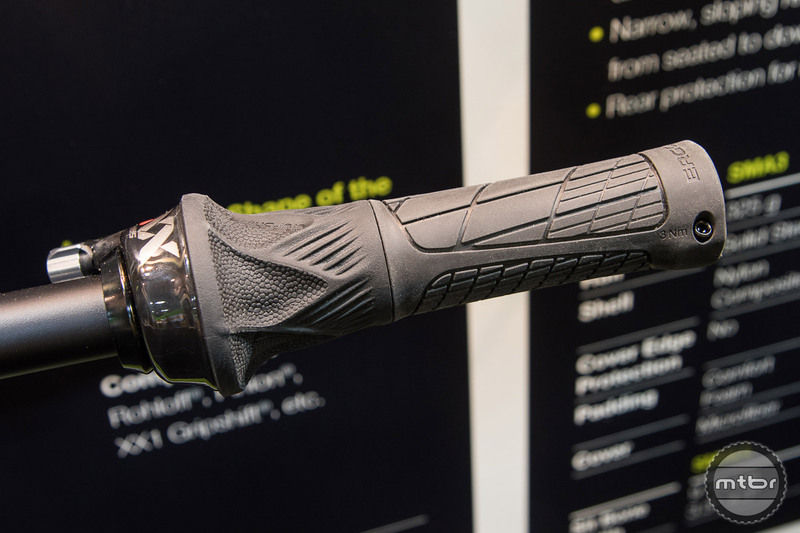 These new grips have more damping in the outer area with a slimmer inner diameter. The unique rubber compound is manufactured in Germany, and offers superb adhesive and rebound properties. The grip feels soft to the touch, but is still very defined and precise. The surface profile provides optimal grip and reduces the gripping force, and the slim inner improves speedy positioning of the hand. It also has a high-strength aluminum inner clamp that’s safe for carbon handlebars. Available in two diameters, standard and slim, this grip is suitable for a variety of hand sizes. 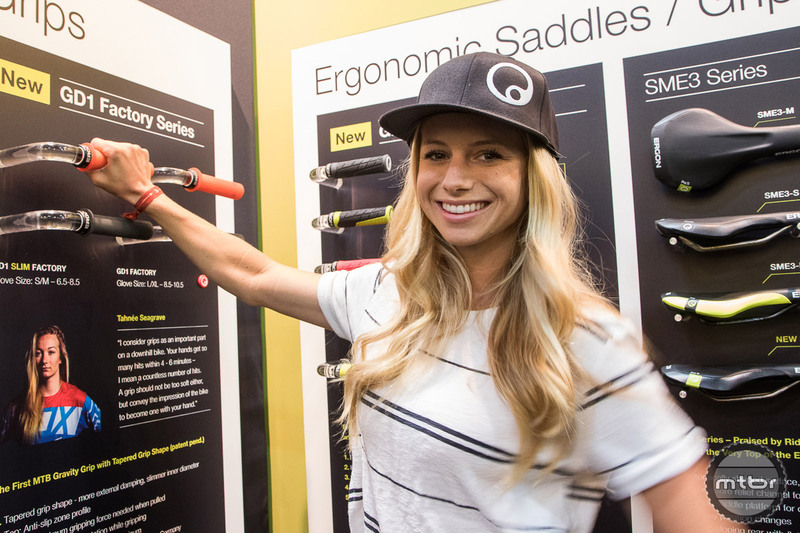 Ergon sponsored downhill pro Rachel Throop will be one of the many team riders using the new GD1 DH Grips. 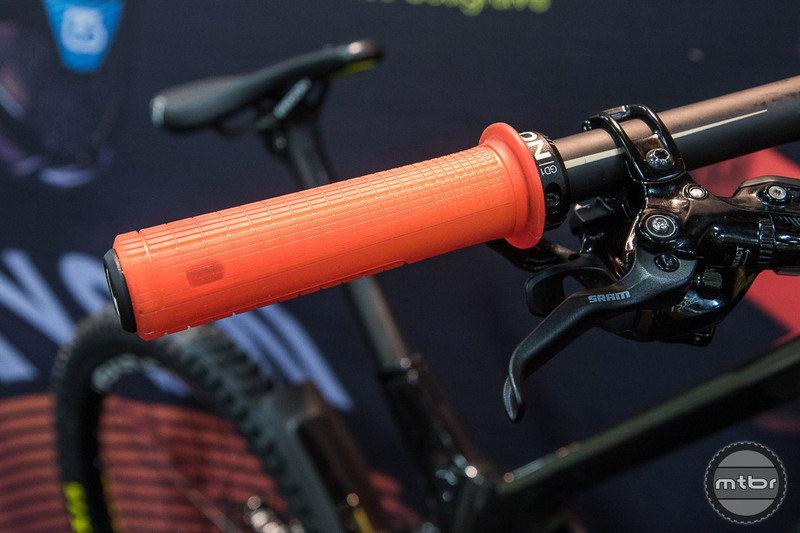 The first ergonomic grip specifically designed for wide riser bars, these grips support the elbows out hand/arm position that’s popular in downhill riding and racing. The GE1 tilts the grip area 8%, placing the elbows in the correct position, and a unique new rubber compound manufactured in Germany offers advanced adhesive and rebound properties. 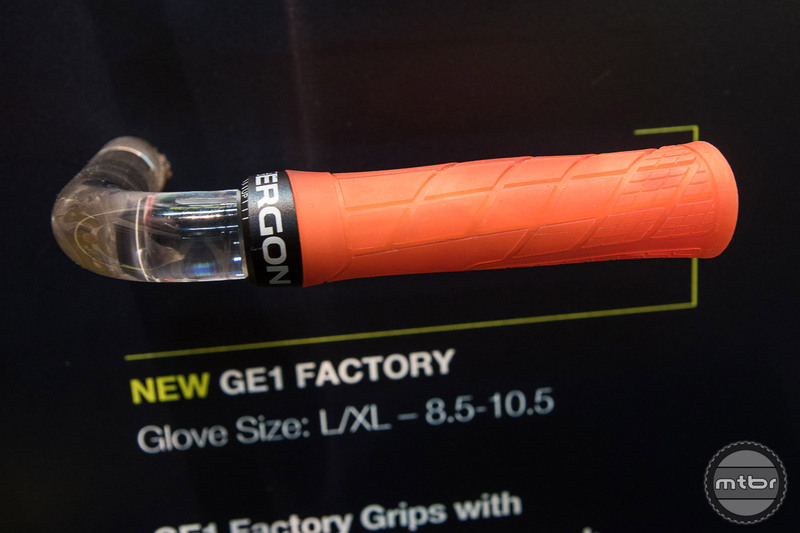 The new GA2 has superb tactile feel thanks to the new super soft, UV-stable rubber compound, which is exclusively developed and manufactured in Germany for Ergon. This material allows for greater control on demanding trials, reducing required force while gripping because grip zones are matched to hand shape and placement. The inner construction varies in thickness allowing greater damping, and the inboard clamp means even more gripping area at the end of the bars. For optimal performance on the bike, leg power needs to be effectively converted into propulsion. 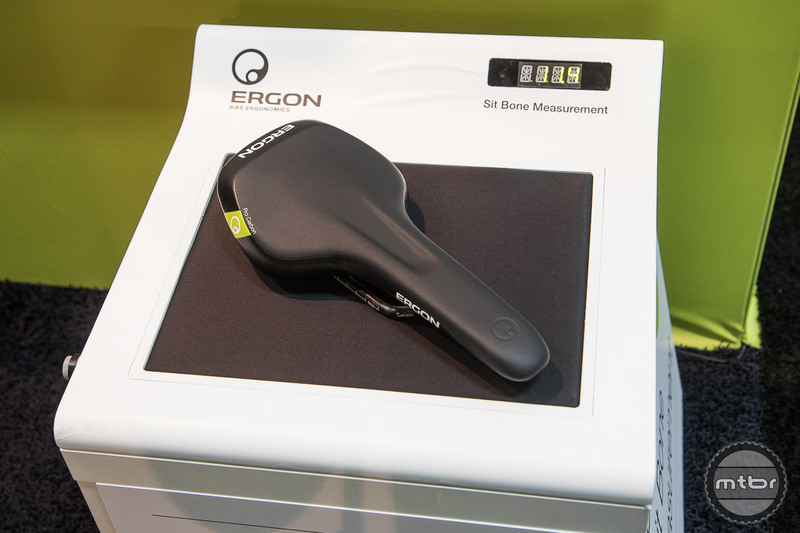 Ergon’s new IP3 insoles support and stabilize the power flow from the legs along the feet straight to the pedals. Due to the patented stabilization delta, a natural position of the foot is achieved through three points, resulting in an efficient and comfortable motion sequence while pedaling. The sit bones are the lowest-lying areas of the pelvis. By measuring the sit bone distance, the correct saddle width can be determined. And while there are varying methods to make sit bone footprints visible, they will always be measured in an upright torso posture. The distance between the two measuring points to each other is the sit bone distance. 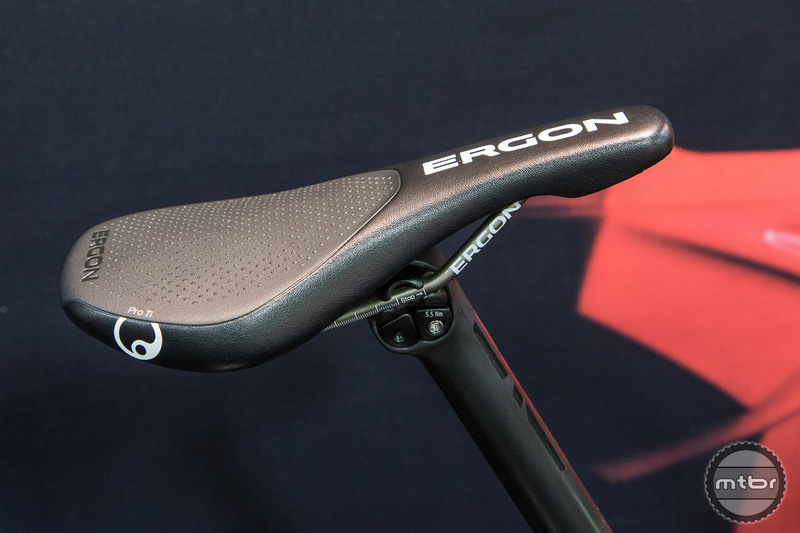 Ergon saddles are available in various widths, depending on the discipline, to cover all these individual seat width ranges.